For any size of pallet you need, Challenger Pallet is your source for the best in the industry. We operate automatic nailing machinery which efficiently produce a consistent, high quality pallet. Our nailing equipment allows us to respond faster to your order demands and reduce the lead-time from order to delivery. 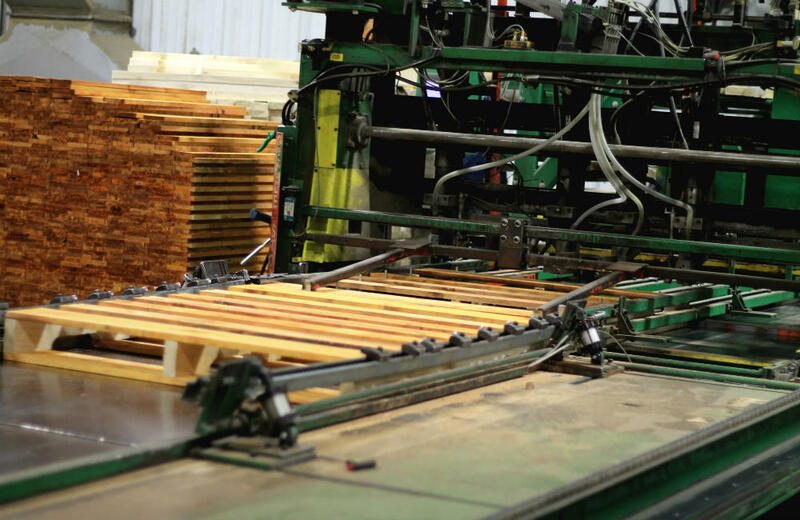 One of the differences between a hand-built and a machine-built pallet is the type of nail used. Machine nails have a thicker wire diameter and a wider head, which means a stronger connection from the deck boards to the supporting 2x4’s. This difference alone puts machine-built pallets head-and-shoulders above any other pallet built by hand. Whatever the dimensions of your pallets are we can build them. From the common GMA 48x40 pallets to smaller or even larger custom sizes we can build them for you. Our computer-aided design software (PDS) will help us make sure your pallet is built to the right dimensions and specifications to properly support your unit load.